NSW: What are the rules around smoking in strata buildings? You are here: Home / Smoking / Smoking NSW / NSW: What are the rules around smoking in strata buildings? This article discussing the controversial topic of smoking in strata buildings has been provided by Leanne Habib, Premium Strata. NSW: Q&A If we don’t have Smoking Bylaws, Can Residents Smoke Everywhere? This article has been republished with permission from the author and first appeared on the Premium Strata website. After the latest information about smoking in strata buildings or other articles about NSW strata legilsation? 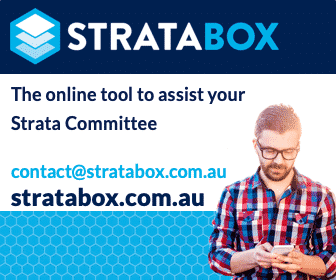 Visit Strata Smoking OR NSW Strata Legislation. We know this is quite an issue in strata. Have a question or something to add about smoking in strata buildings, please leave a comment below. Hopefully the smoking prohibitions can be applied to the use of petrol powered leaf blowers – even though the SC is likely to have hired the perpetrator of this filthy, noisy and unnecessary methodology. I’m in NSW, renting a unit and other tenants in the block smoke outside & on the balcony & the smoke drifts into my place. As I’m an asthmatic I find it very stressful. By the time I close windows & doors the smoke is inside. Do I have any rights here? I’ve contacted the agent who informs me the strata say our block doesn’t have the law to stop it. What about the new legislation introduced in NSW in 2016 about the new model by law (which must be adopted) regulating smoke drift? It offers 2 options A & B. If neither option is selected, option A will apply, stating no smoking on common property. I relate fully to the situation of occupiers trying to enjoy their homes when smoke drift penetrates from units nearby. This situation is hazardous to health and an infringement on quiet enjoyment of our homes. In our units we have new tenants who smoke as do their visitors. This creates havoc for neighbors, who have no choice but to close doors and windows, and remain indoors or leave the premises, to avoid smoke. Strata units need a ban on all smoking, for the sake of the health and enjoyment of all residents. Good afternoon, I’m in Queensland and I’m waiting for rhe day that cigarette smoking is banned in residential buildings. The elderly woman in the apartment below me smokes and all the units cop the smoke. It’s like a chimney effect and nobody likes it. It affects my health, too. When will something be done in every state to stop this situation? I’ve written to Body Corporate and was advised to close my doors and put aircon on, that smokers have the right to smoke on their balconies and that I could move out. The Executive Committee of my strata has decided to delete the by-law regarding parking. This will cause chaos with some residents not being able to access their garages and others parking on the common property causing a third group to have to do several three point turns to both enter and exit their spots. In your opinion is the omission of a parking by-law the same as an unjust by-law? The new strata legislation has enacted a new restriction on by-laws, namely, that a by-law cannot be unjust, harsh, unconscionable or oppressive. In our view, the absence of such a by-law is not “unjust” perhaps just unwise. There is no positive requirement for an owners corporation to have a parking by-law in place, however, it sounds as though this will cause chaos in your building. Further, it also sounds unlikely that the Owners Corporation will avail itself of its powers under the regulations to have obstructing vehicles removed. You will likely need strata specialist legal assistance with this matter as there appear to be 2 courses of action open to you – apply to NCAT to have the by-law revived or apply to NCAT for a compulsorily appointed agent (if you meet with threshold that the scheme is dysfunctional)(the latter course is a high threshold). In addition to the above, the offending vehicles parked on the common property may be in breach of the nuisance and hazard provisions of the strata legislation. Under such legislation no owner or occupier may use or enjoy the common property in a manner or for a purpose that interferes unreasonably with the use or enjoyment of any other lot by the occupier of the lot.